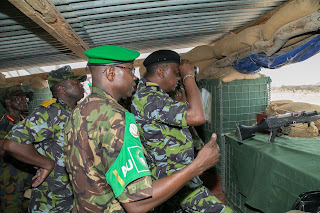 President Kenyatta shocked KDF in Somali in a surprise visit to their battlefront camps. - Bana Kenya News, Real African Network Tubanane. Home featured World President Kenyatta shocked KDF in Somali in a surprise visit to their battlefront camps. 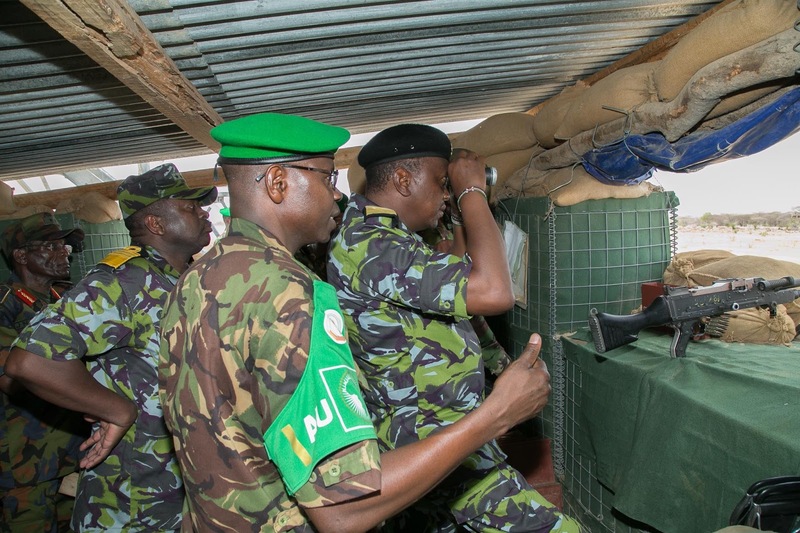 President Kenyatta shocked KDF in Somali in a surprise visit to their battlefront camps. President Kenyatta had a surprise visit in Somalia yesterday where he attended several major KDF camps and talked to them. The president also landed at the dusty Dhobley Military Camp in Somalia and he was greeted with military honours. This is the most largest KDF camp in Somalia and the centre for the Amison. The president is also expected to visit Somali statehouse at Mogadishu and later talk to the newly elected president Mohamed Abdullahi Mohamed. The KDF are under Amisom umbrella and the government is also looking forward to adding more soldiers to boost them fighting for Al-Shabaab. The visit came barely a day after the Head of State deployed KDF to the counties affected by bandits; Baringo, Elgeyo Marakwet, Pokot and Laikipia to beef up security in the troubled areas – an additional task the military have embraced with enthusiasm. The President was accompanied by the Majority leader Adan Duale, Sector Commander Brigadier William Shume and Chief of Defence Forces Major General Samson Mathethe. Gen. Mwathethe thanked President Kenyatta, saying there were no better ways to a Head of State to motivate soldiers than to spend time with them at the battlefront. “Many people back home ask why we are here in Somalia fighting. I want to assure them that our presence here has saved the lives of many Kenyans,” he added. The President went to Somalia with Military jets where people assumed that it was normal KDF operations but fortunately it was the president surprise visit. He is expected to jet back to the country today.